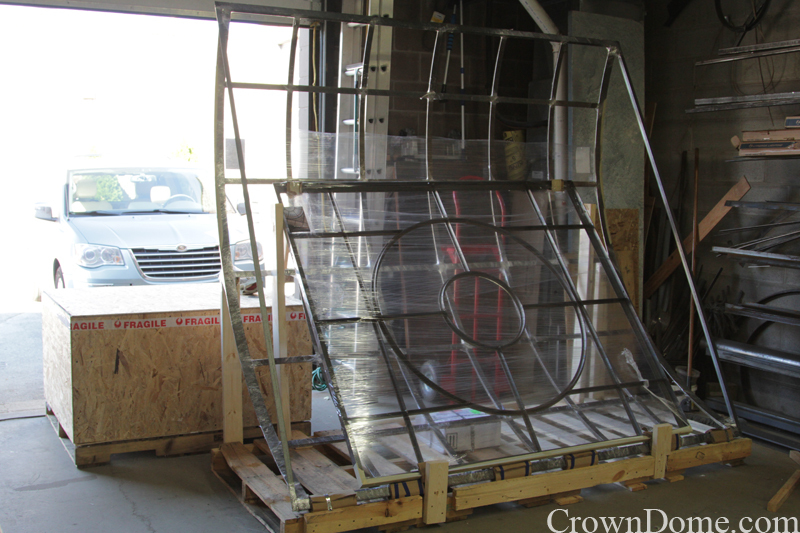 Our large barrel / curved leaded glass skylights are ready to be sent to our client in Miami. Hopefully no unpleasant surprises while transporting the glass. Eugene takes a good care about packaging. It is a pity that we can not see the skylight after installation. It will look as a jewel after installation!